Collecting information using a questionnaire to measure patient satisfaction, experience and health is now common practice. There is a variety of health questionnaire types that can be used. Whichever way questionnaires are used and for whatever purpose, the objective is to obtain reliable and valid information on the patient’s experience and reported outcomes. Below are some pointers as to why patient experience surveys can fail in providing useful information. Not understanding the big picture: It is essential that the overall objectives of the patient experience survey are defined at the outset (the research question). This will include establishing the purpose of the survey e.g. measuring patient satisfaction, experience and outcomes, clarifying the target population the health questionnaire will be administered to e.g. patient group, disease type, how the information will be collected e.g. paper/pencil, interview, web and how that information will be used e.g. improve patient experience. Using inappropriate data collection methodology: It is obvious but, telephone surveys are inappropriate for the hard of hearing and elderly. If you are using a postal survey how reliable is your data source? What is the literacy level of your target population? 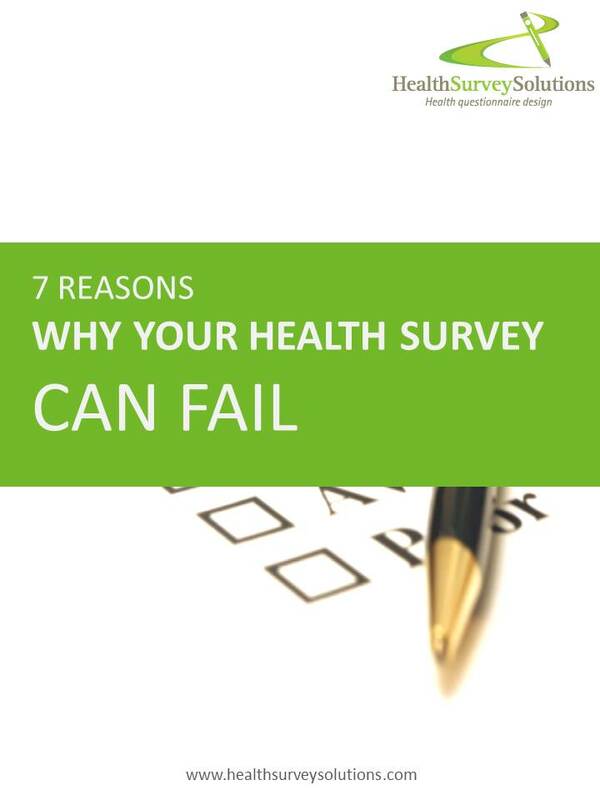 Choosing the wrong question type: Choosing the correct type of question for your health survey will involve making decisions such as whether to use an open or closed question, a â€˜don’t know’ response option, rating scales or grids etc. Remember complexity leads to non-response. The questions are lengthy and difficult to understand: Remember respondents need to understand what the question is asking to give you the correct information. A well crafted questions needs to be no longer than 20 words, should be written using plain and simple language. The question should ask one question e.g. How would you rate the receptionist’s helpfulness? NOT How would you rate the receptionist’s and doctor’s helpfulness? The survey questions are not relevant: Survey questions must be relevant and specific to the target population. When developing a new patient health questionnaire patient input is essential to ensure content validity. If using an existing questionnaire then establish content validity via some focus groups. Not pre-testing the questionnaire: Pre-testing the patient questionnaire can highlight any problems with it, including length, understanding, missing questions etc. Pre-tests can be carried out on a small sample of the target population. Don’t confuse pre-testing with piloting. Pre-testing is checking out just the questionnaire. Getting a low response rates: Response rates are critical to the success of a patient experience survey and with some thought and planning can be as high as +70%. In addition to the points above, this will include a good introduction letter to the patient explaining the survey and confidentiality, a stamped addressed envelope if a postal survey and postal, telephone and email reminder.